Our requires a common vision and language describing quality in British Columbia. It needs resources and supports that enable change to be led locally. It also relies upon peoples’ experiences voiced through storytelling to engage care providers, patients and the public. We also create communications resources, to help develop the capability of organizations and individuals to effectively share their work, engage their stakeholders, and champion their successes. Access our communications tools. Twitter can help you amplify your message by reaching your target audiences more easily and quickly than by only using traditional communications methods. It also provides an opportunity to reach audiences that you normally wouldn’t have had access to or traditionally included in targeted communications. Stage fright? A great presentation does not just happen; it takes practice learning to speak confidently and effectively! 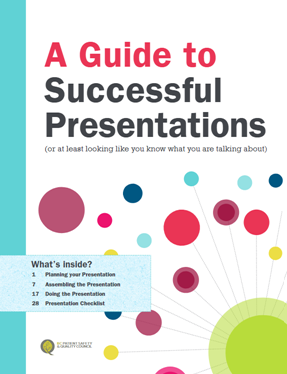 This guide offers pointers on the art of delivering memorable presentations. There are lots of tips on how to select appropriate content, visuals and language and ensure the information you want to get across is well-articulated. These guidelines will help make sure the audience will remember your key messages and leave your presentation impressed and inspired! 1000 Lives Improvement, based in Wales, has developed a framework to put strategic communication at the heart of improvement and change projects. 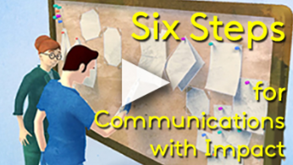 This animated video illustrates the steps of the framework. Individuals don’t need prior knowledge or skills in communication: the steps provide a starting point to develop a strategy to support improvement work. 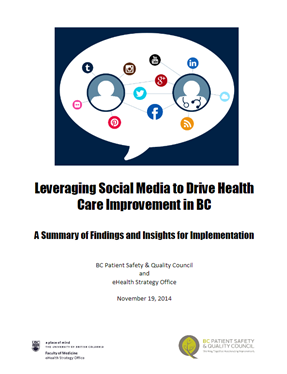 Together with the University of British Columbia eHealth Strategy Office, we explored how social media can be applied in the BC context for improving the quality of health care and patient safety. 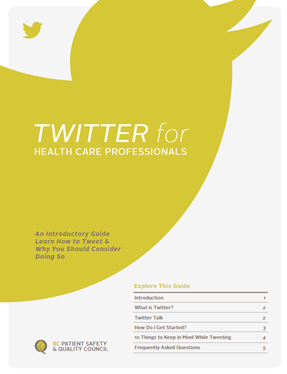 This report outlines the various ways social media adds value to improvement strategies based on the feedback received from health care providers and the public, a published and grey literature review, and consultations with various health care working groups.